The cold weather is here, and with it thicker clothes and layers that can drown out your favorite jewelry pieces. Here are five ways to wear jewelry in the wintertime, courtesy of Forbes.com and jewelry writer, Beth Bernstein. While graduated chains and charm necklaces are great for the summer with t-shirt and tanks they can compete with your layers of sweaters and scarves. In the colder months, opt for an elongated necklace that is chunky on its own or has a solid look with a large locket. When wearing long sleeves that are ribbed or textured in knits or jackets under your coats, you want bracelets that you can feel on your wrists without being too heavy. Keep the wide cuffs and bangles for spring and summer—they look wonderful on bare arms and won’t feel too cumbersome. However, in wintertime, go for oversized curb chains or new takes on wide ID bracelets. They can be worn over lightweight sweater sleeves. Stack rings are wonderful in warm weather months but taking gloves on and off when the weather is cold could cause you to accidentally lose one or more of your rings. It’s safe to wear one or two larger, bolder rings in winter. You will feel them move around and their stand-out appeal is more suited to your winter wardrobe. Colored gems will pop your winter staples of gray and black and signets with symbolism will act as your winter talisman. Stud earrings are the perfect go-to jewels to dress up your lobes for winter. They won’t get caught in your scarves or high or oversized turtlenecks. All different styles of earrings have been trending for the past two years and there are myriad imaginative, fun or daring studs out there for you to try on to see which fits your style best. If you haven’t tried accessorizing with brooches, you’re missing out on one of the hottest trends of the winter. 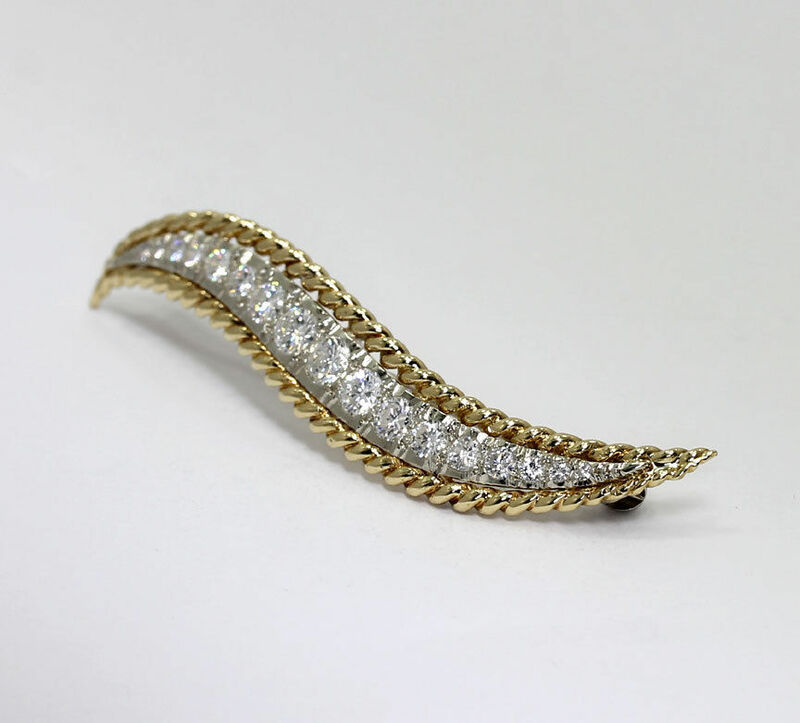 On trend are antique or vintage brooches, or new pieces designed based on designs by the most iconic jewelers of the past. Brooches are extremely versatile, too. You can affix them to scarves, fashion them in your hair, wear multiples on your jacket lapels and pockets, or to one side on a cardigan, knit dress, sweater sleeve or at the top fold of a turtleneck. 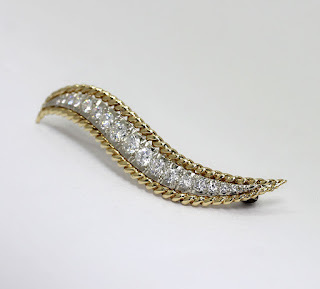 If you’re looking for a vintage or antique brooch or any perfect piece for your winter wardrobe, make sure to visit Adina by Empire Jeweler’s eBay Store for a wide selection of fine jewelry at true wholesale prices.